TheraBreath Dry Mouth Lozenges are extremely effective at relieving dry mouth symptoms. They contain a natural flower extract that helps to enhance saliva. The natural tingle lets you know its working! 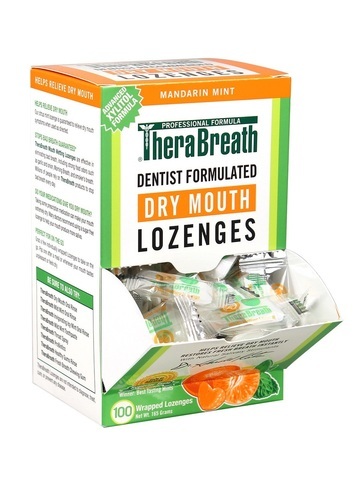 Individually wrapped, these lozenges are easy to take with you for quick, on-the-go dry mouth symptom relief. The invigorating citrus mint flavor tastes great and freshens breath too. 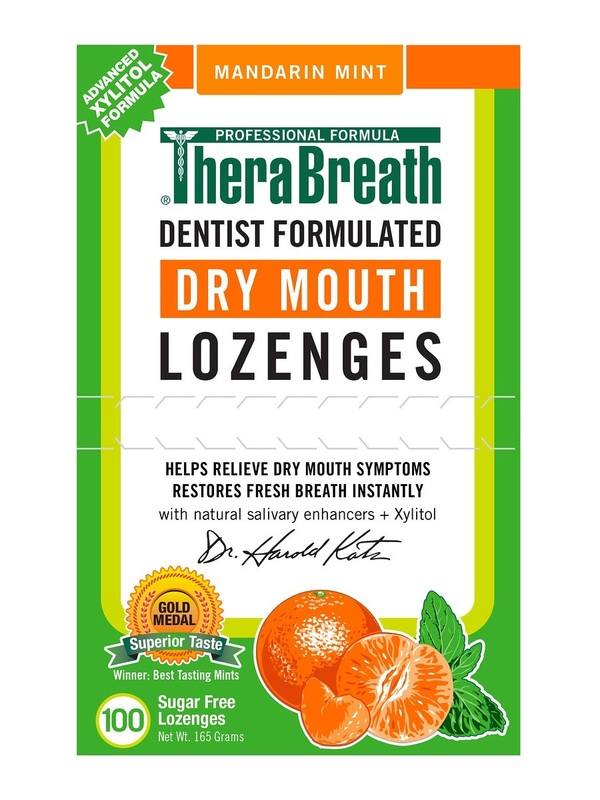 Our Guarantee: As with all of our products, TheraBreath Dry Mouth Lozenges are guaranteed to work to your complete satisfaction or your money back. Stage 1 - our pleasant citrus mint formula quickly eliminates any unpleasant tastes or odors in your mouth. Stage 2 The clinical strength powers of Zinc and Xylitol attack the sources of bad breath. Stage 3 - Our natural tingling flavor agent enhances saliva flow to help relieve dry mouth symptoms. 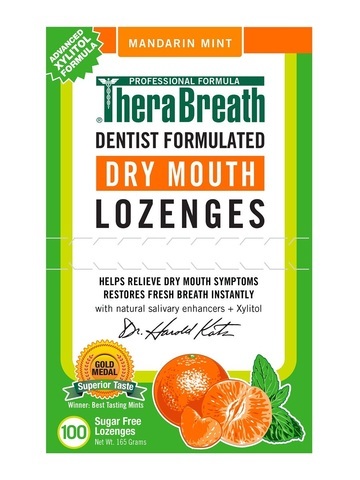 TheraBreath Mouth Wetting Lozenges are affective in eliminating bad breath, including strong food odors such as garlic and onion, Morning Breath, and smoker's breath. 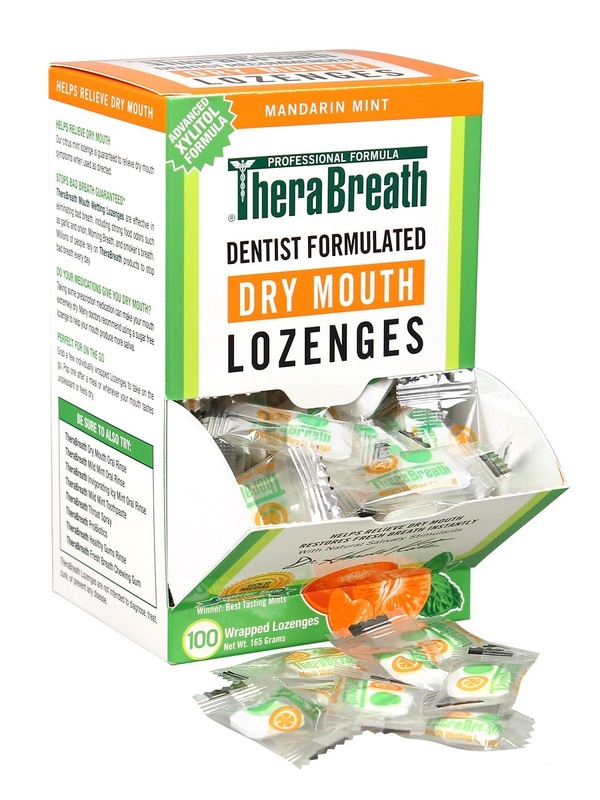 Millions of people rely on TheraBreath products to stop bad breath every day. Our citrus mint lozenge is guaranteed to relieve dry mouth symptoms when used as directed. Do Your Medications Give You Dry Moth? Taking some prescription medication can make your mouth extremely dry. Many doctors recommend using a sugar free lozenge to help your mouth produce more saliva. Grab a few individually wrapped Lozenges to take on the go. Pop one after a meal or whenever your mouth tastes unpleasant or feels dry. Take as often as needed for fresh breath and a wetter, more confortable mouth. Typically, one lozenge every 3-4 hours should keep your breath its freshest. Sorbitol, maltodextrin, natural flavors (proprietary blend of natural sialogogues and flavors), natural xylitol, magnesium stearate (from plant sources), zinc gluconate, rebiana (from stevia).